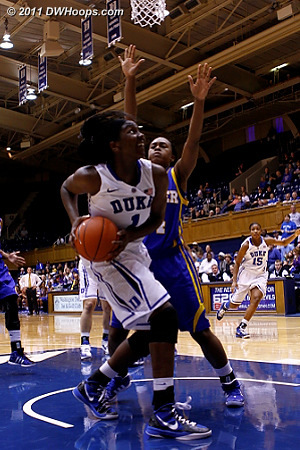 DWHoops photo galleries are member supported. 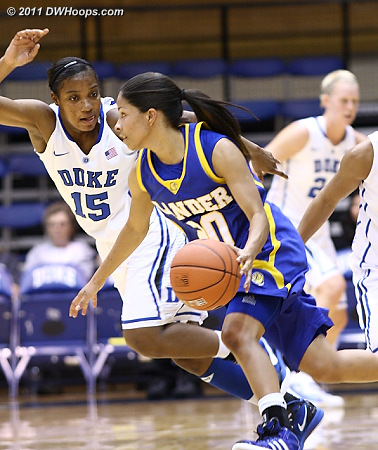 Please show your support by joining DWHoops today! 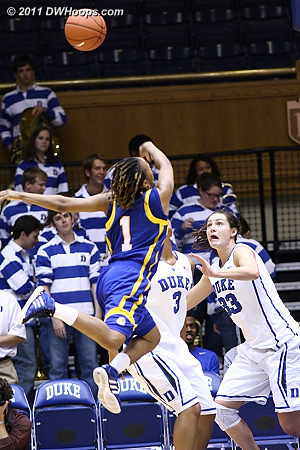 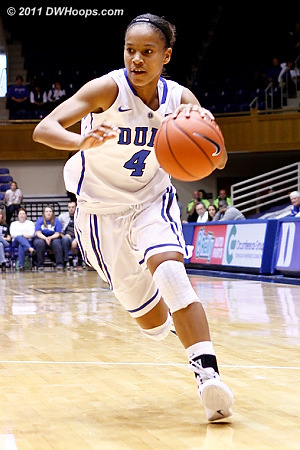 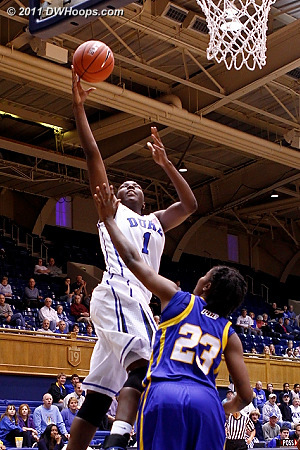 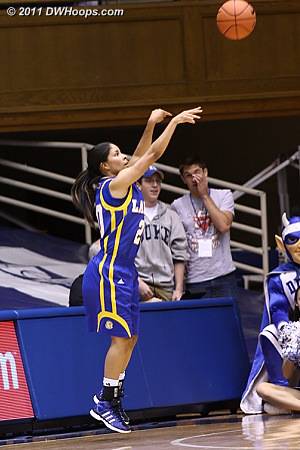 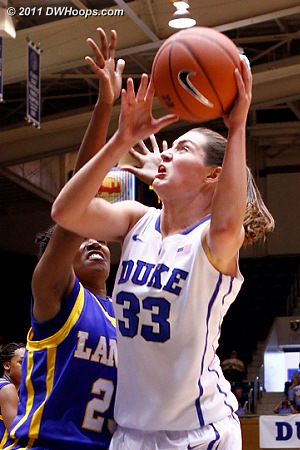 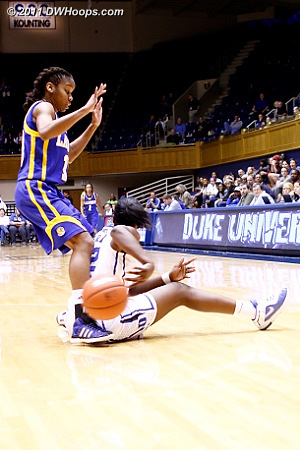 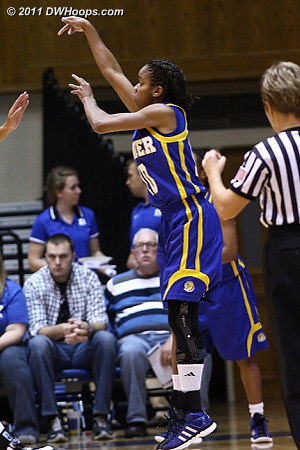 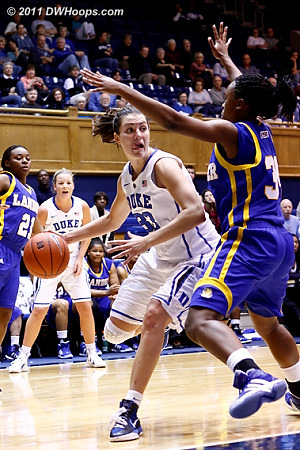 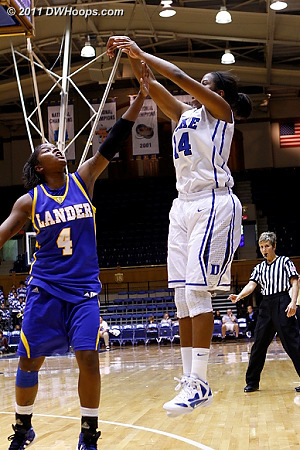 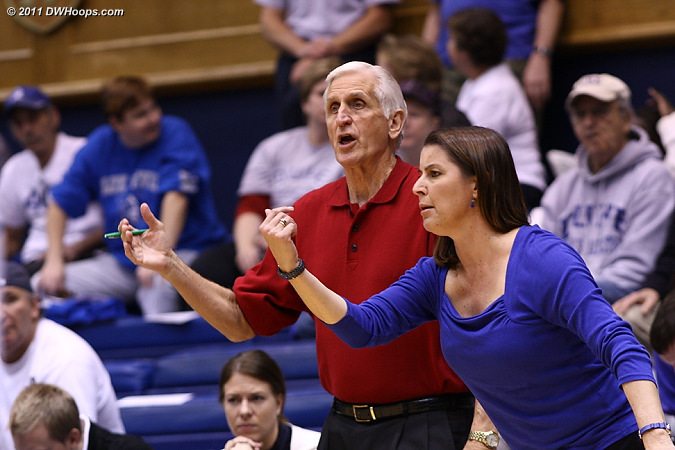 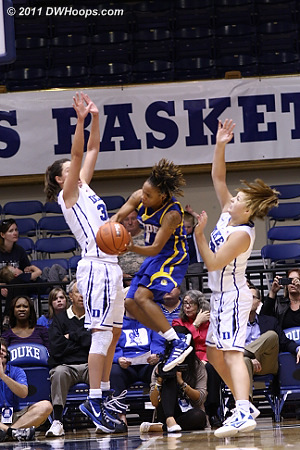 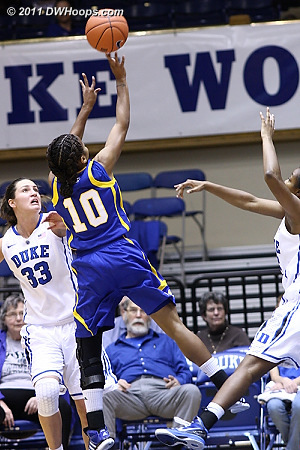 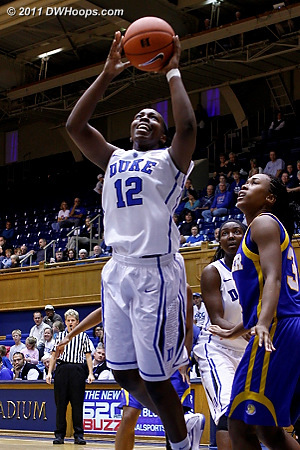 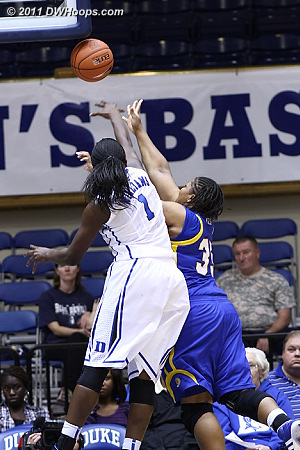 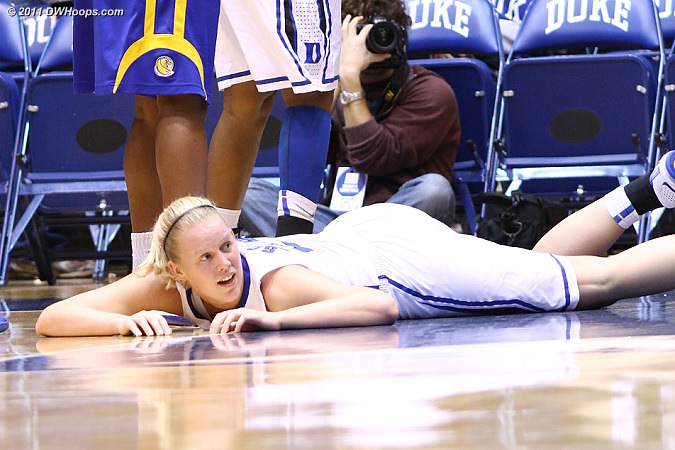 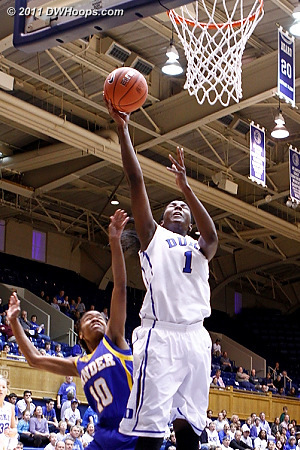 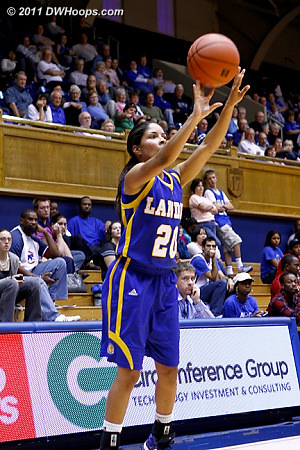 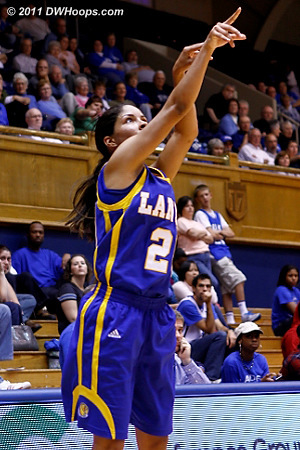 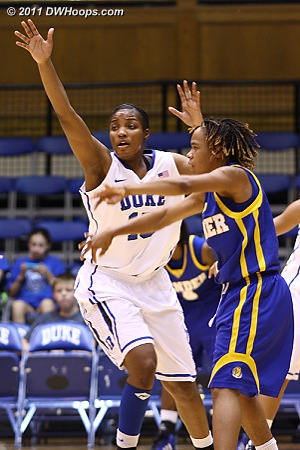 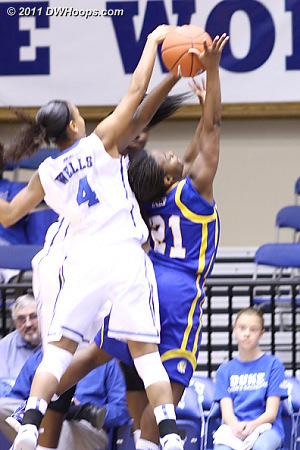 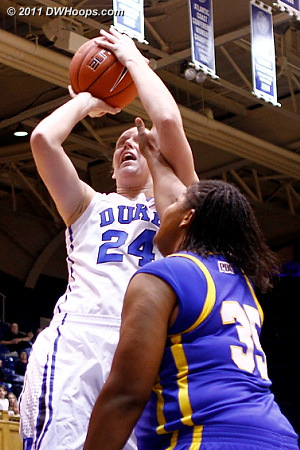 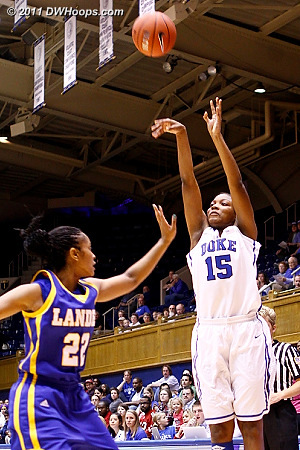 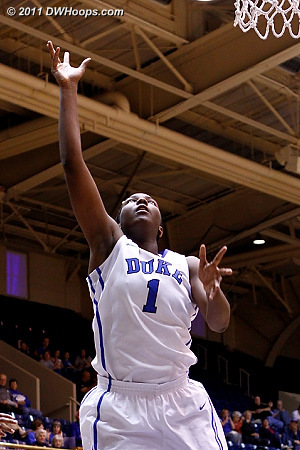 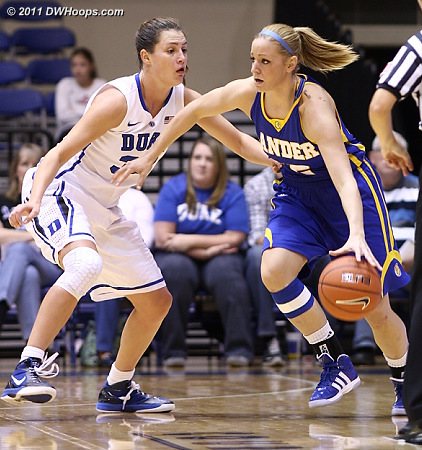 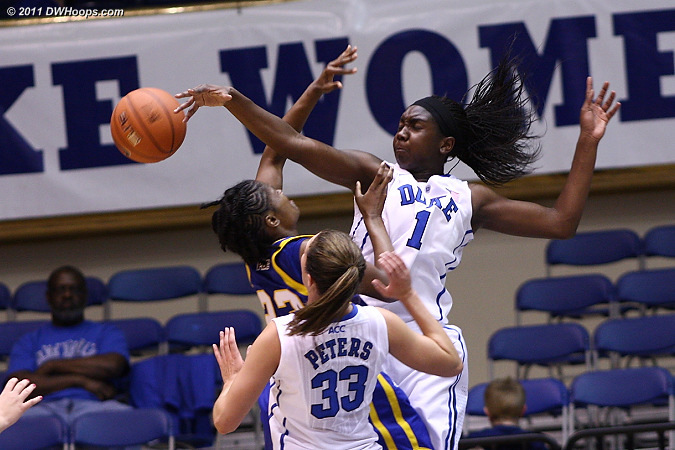 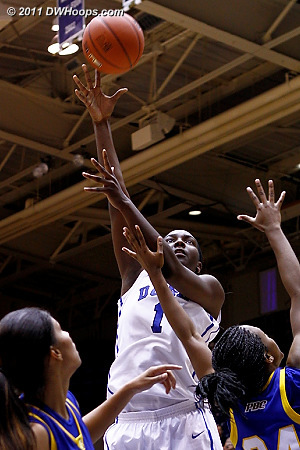 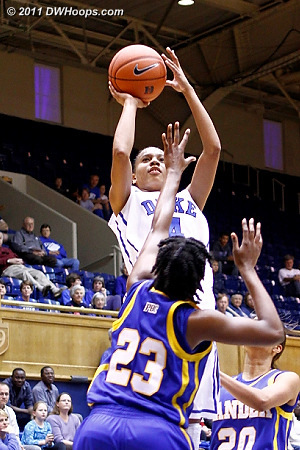 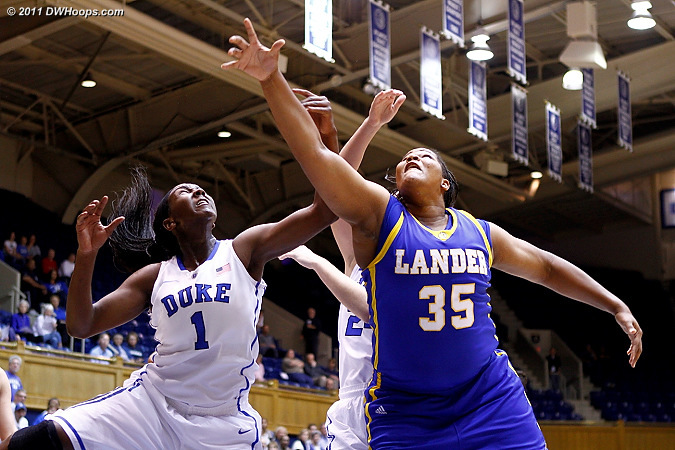 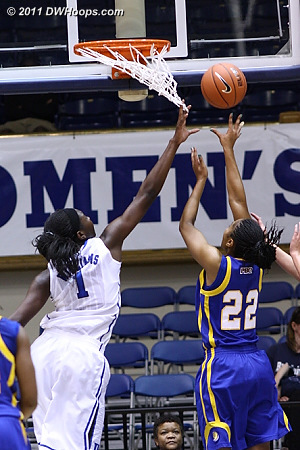 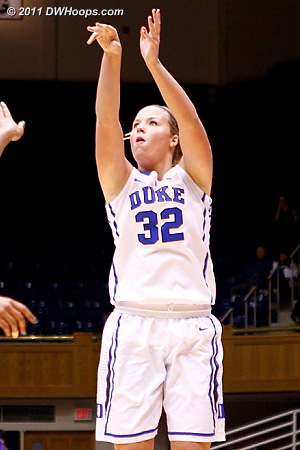 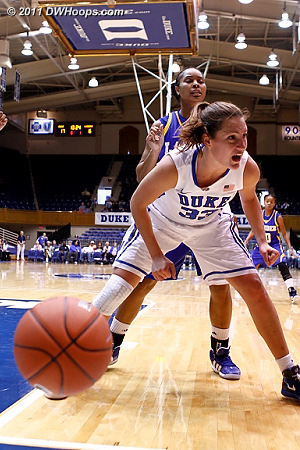 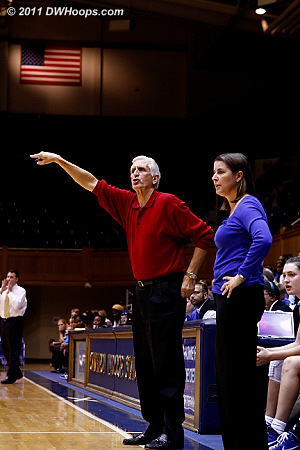 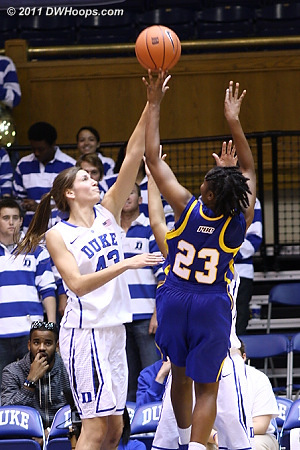 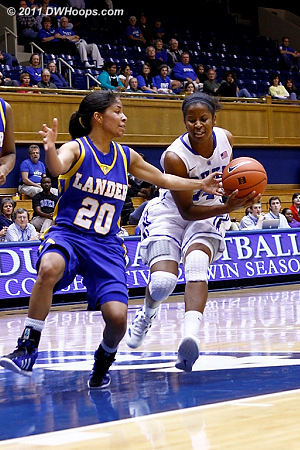 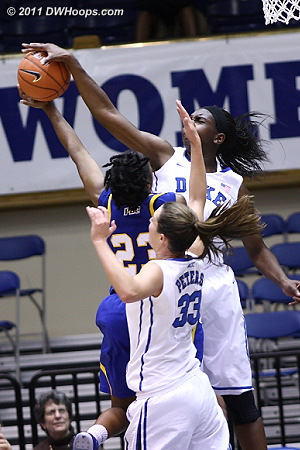 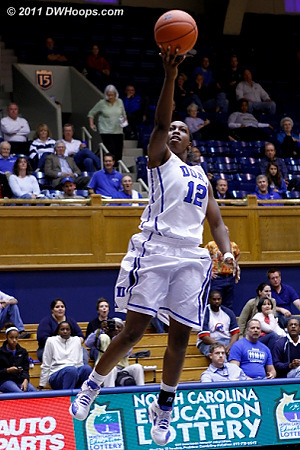 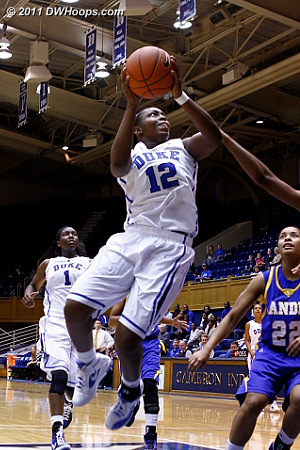 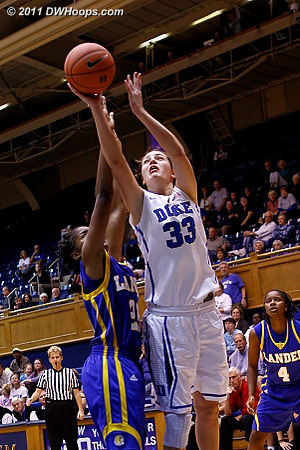 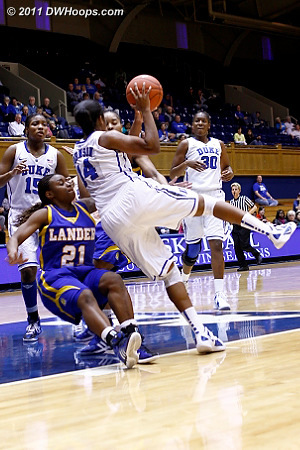 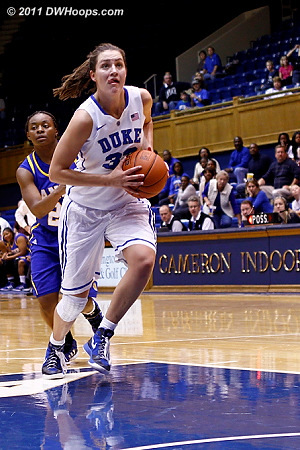 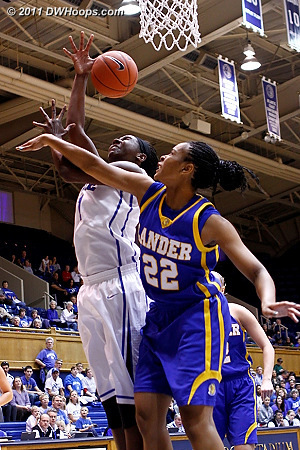 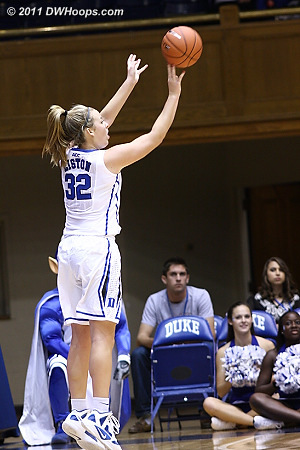 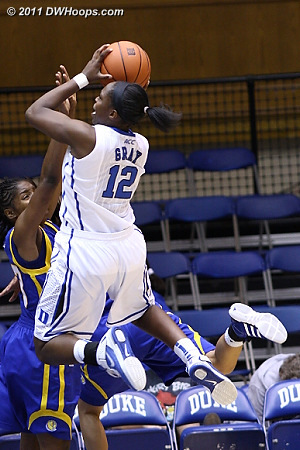 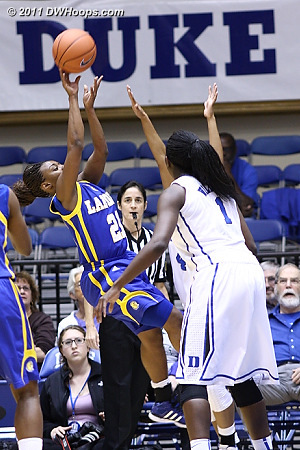 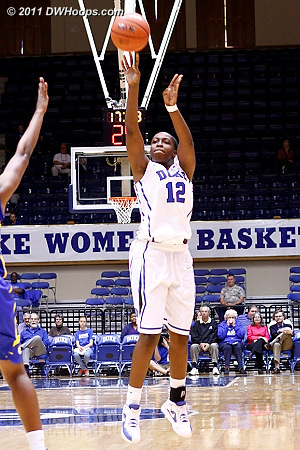 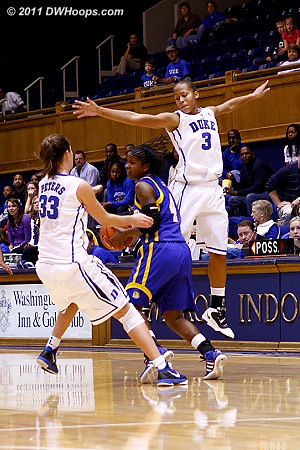 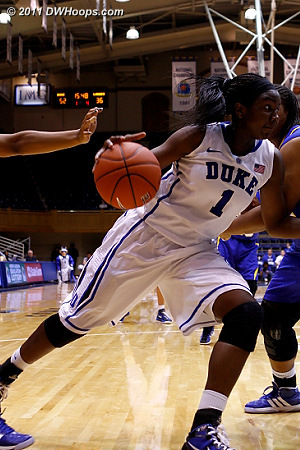 Lander's Kami Philips hits a three pointer in the first half, another breakdown for Duke's perimeter defense. 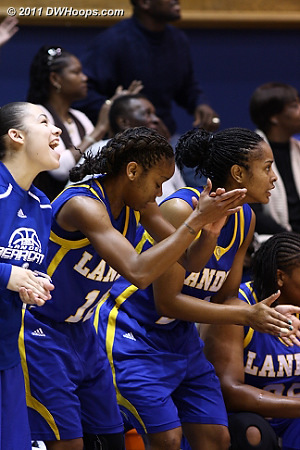 Lander bench erupts after one of Jasmine Judge's four first half three point baskets. 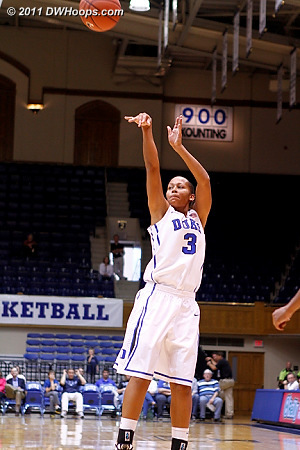 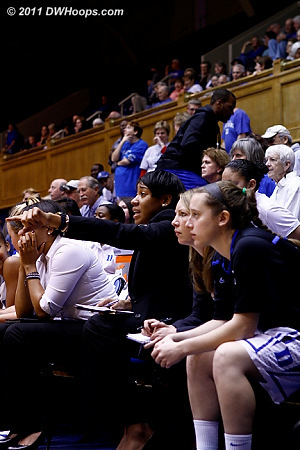 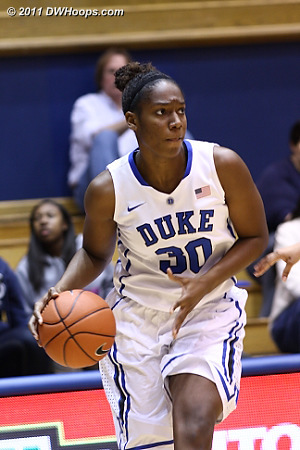 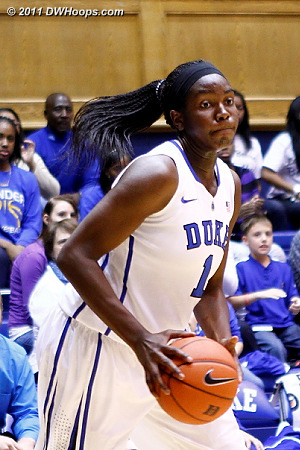 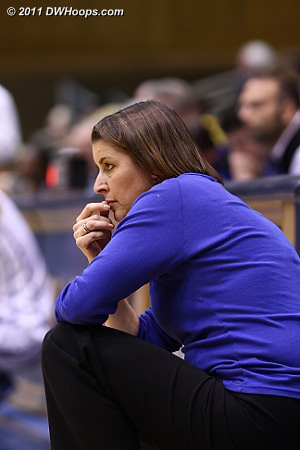 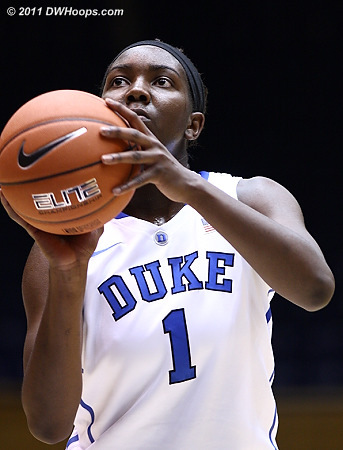 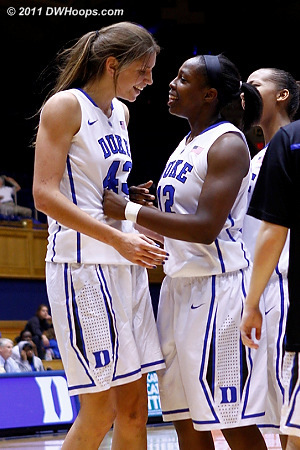 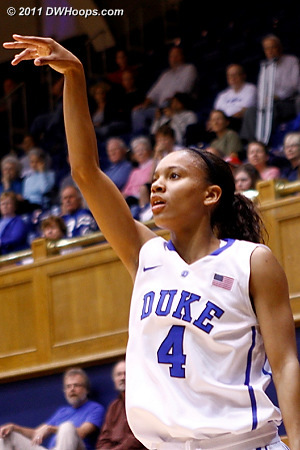 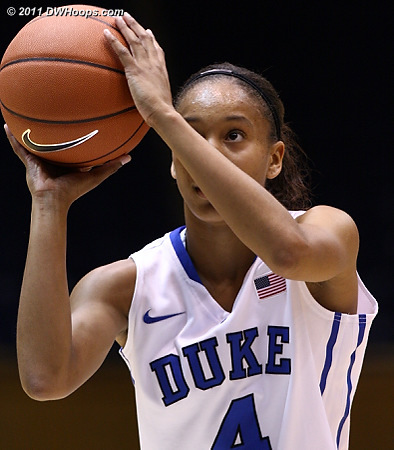 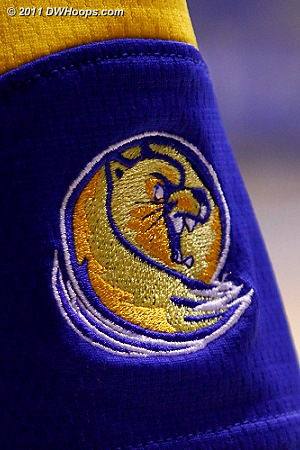 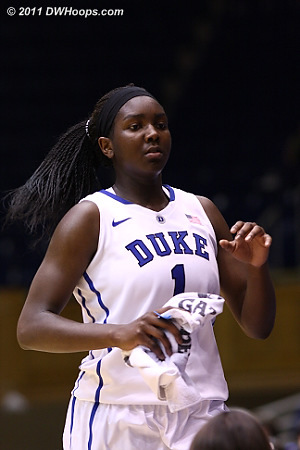 After already having made 7 of 9 threes, why is Jasmine Judge still wide open behind the arc? 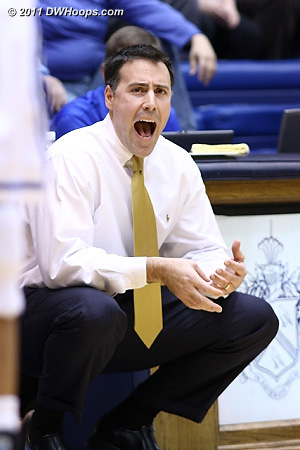 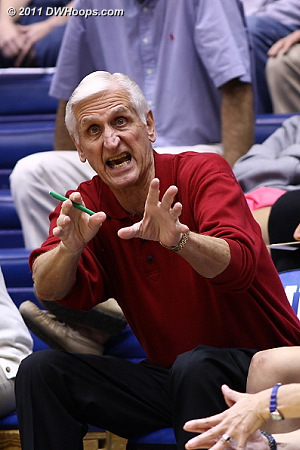 The frustration of Coach P as Judge has gone 8-10 from behind the arc. 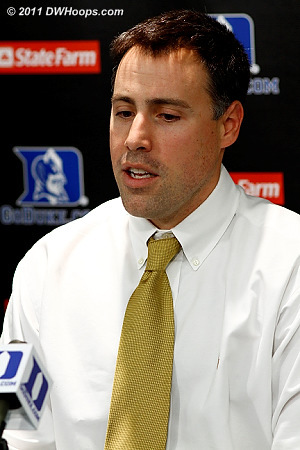 Lander coach Kevin Pederson had hoped he would not be asked about their 2005 visit to Cameron, but it was Rob Clough's first question. 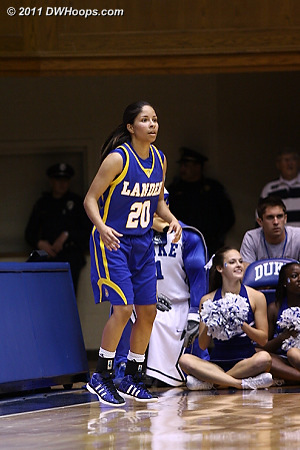 Lander's Jasmine Judge drained 8 treys, unofficially matching the record for most three pointers made by a Duke opponent in Cameron (South Carolina's Kelly Morone went 8-9 in 2001). 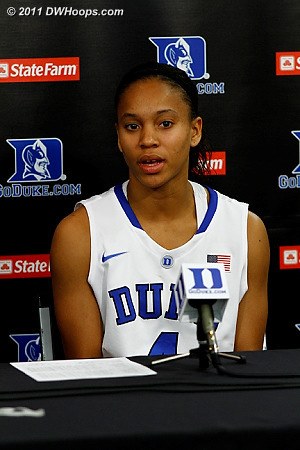 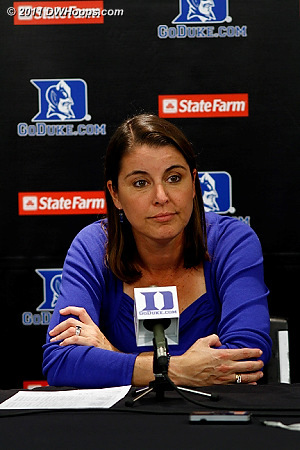 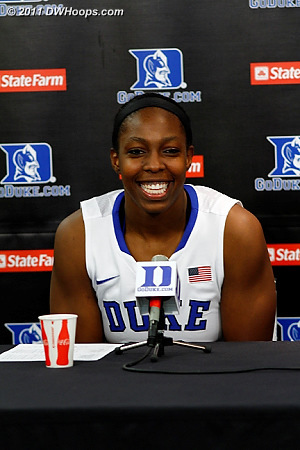 Chelsea Gray in the post-game press conference.